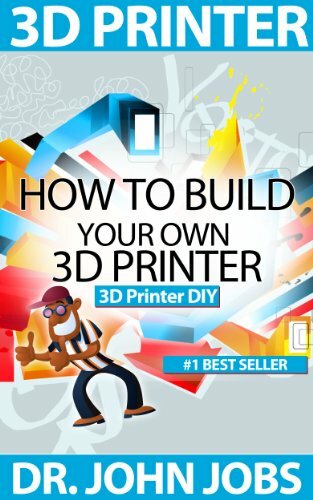 This book will teach you how to build your very own 3D Printer from scratch. It’s not science fiction. It’s a device that will allow you to print out – in plastic – whatever you can imagine. Read our book, build the machine, and then print stuff that you can actually hold in your hands.What Exactly Do I Get? The machine that you will build from this book is a personal desktop 3D printer capable of creating small parts and other objects. You are going to be provided with step-by-step instructions to build your very own 3D printer. This is the ultimate do it yourself project! We will explain step-by-step how to build a fully functioning 3D printer – made from parts laying around the house. You are also going to be provided with instructions on how to connect your new machine to a computer so that you can print out – in plastic – things you design. Moreover, as a Thank You Bonus for purchasing this book, we’ll be providing you with a great website where you can learn how to push your machine’s capabilities even further. 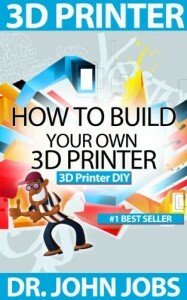 3D Printer DIY: How to Build Your Own 3D Printer from Scratch is your entrance into the exciting world of 3D printing. Are you interested in 3D printing? Do you want to build a 3D printer? Well now you can easily build a 3D printer from scratch and you’ll have fun doing it!